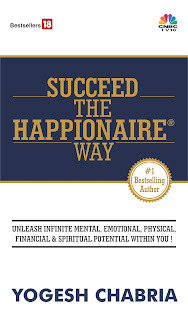 Yogesh Chabria - The Happionaire ​Blog - Best Motivational Speakers In India - Inspiration, Success: Do You Feel Jealous? I had an incredible time in Amritsar at the Life Insurance Round Table. Here are a few pictures and a snippet from our LIVE session. I enjoyed your beautiful session and thanks for sharing these wonderful thoughts Yogesh ji ......which help in life, businss and career. Man was born to be jealous....but to succeed you should convert jealousy and negative into postive...will share and apply it every moment! Also nice to hear you in hindi Mr. Chabria! Yogesh, you are one of the best motivational speakers I have heard....as you speak from experience and can feel your humility and calmness!